Stop asking the question that where my money went, and why there is no money left in my wallet. 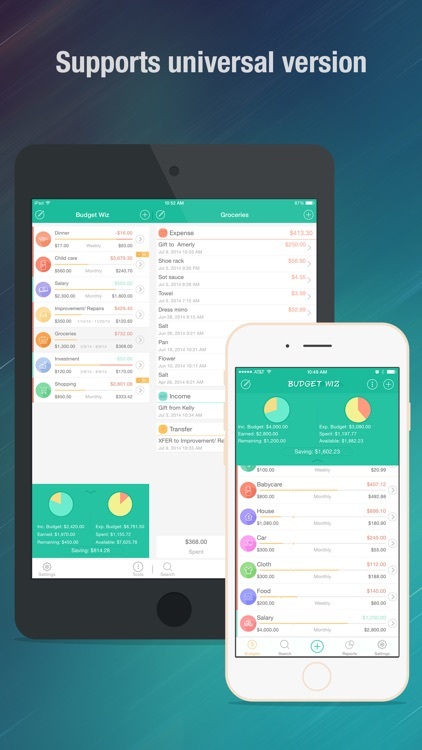 Budget Wiz keeps your money well managed and spent. 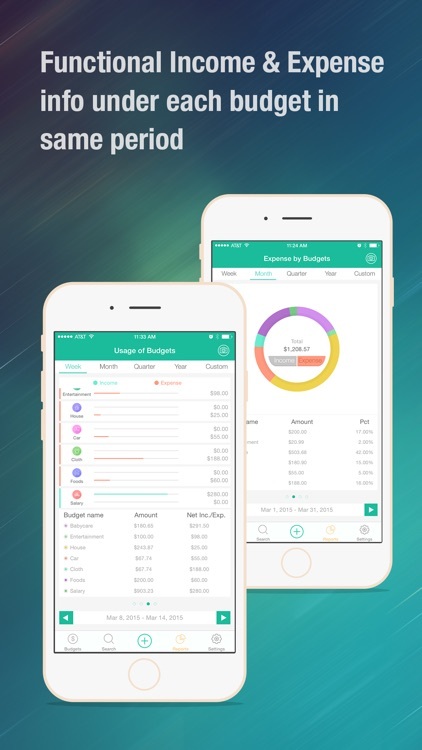 By Budget Wiz, you can create income and expense budgets, which indicate how much money you plan to spend or get, then when you have transactions under that budget, add them into it. When there is less money to spend under a budget, you will automatically control spending. 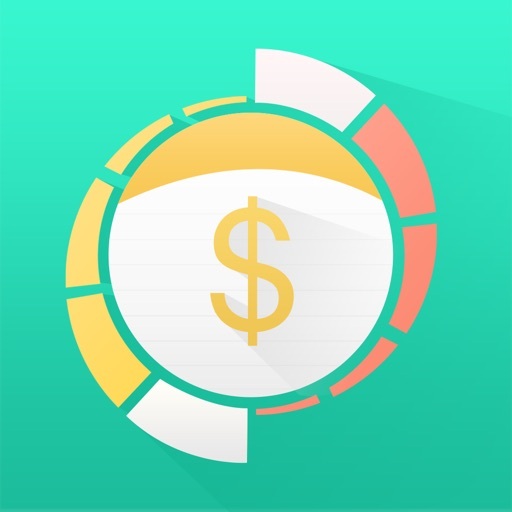 This app helps controlling yourself spending money randomly and keeping your money well organized. After using it for a while, you will be surprised how much money you will save. 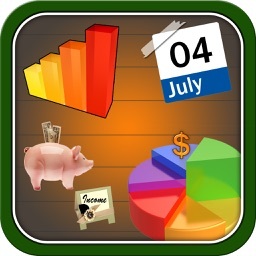 iCloud auto sync is available in this app, so you can use this app to manage your personal budgets or family budgets. 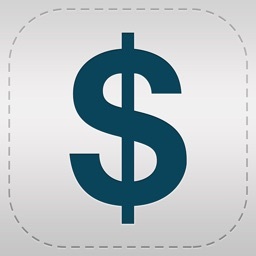 ⁃ Create unlimited budgets with recurring or not. 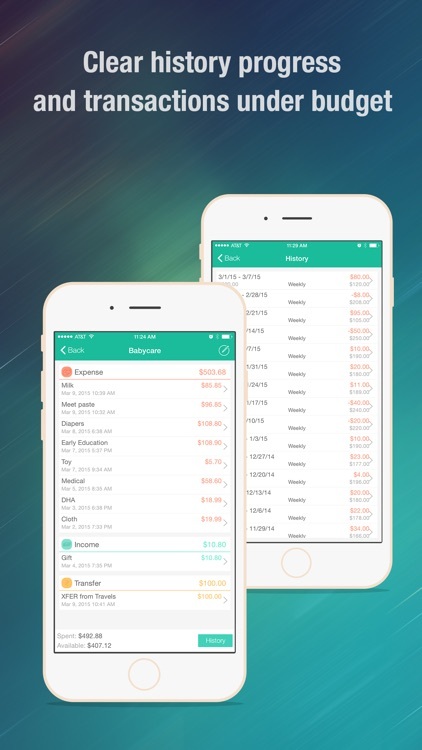 ⁃ Recurring budgets by single or multiple cycles of daily, weekly, monthly, or yearly. ⁃ Progress bar to show used amount VS budget amount. ⁃ Over roll amount to next cycles or not. 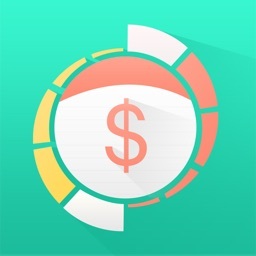 ⁃ Custom order of added budgets. ⁃ Editable default categories and you can add your own. ⁃ Pie chart reports to show income, expense and savings. 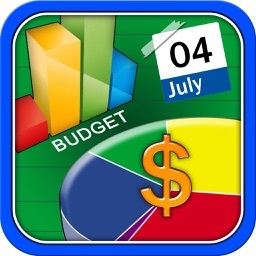 ⁃ Cycle pie chart reports to show percentage and amount of each budget. 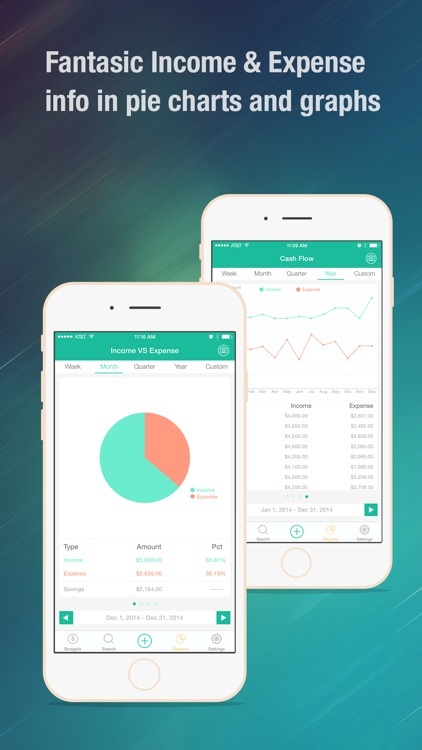 ⁃ Chart report to show cash flow tendency. ⁃ Search transactions by their name, type amount or note. 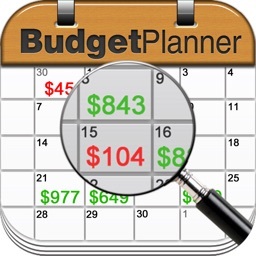 ⁃ Hide Expired Budgets or not. ⁃ iCloud backup and restore. ⁃ Custom week and month start day. 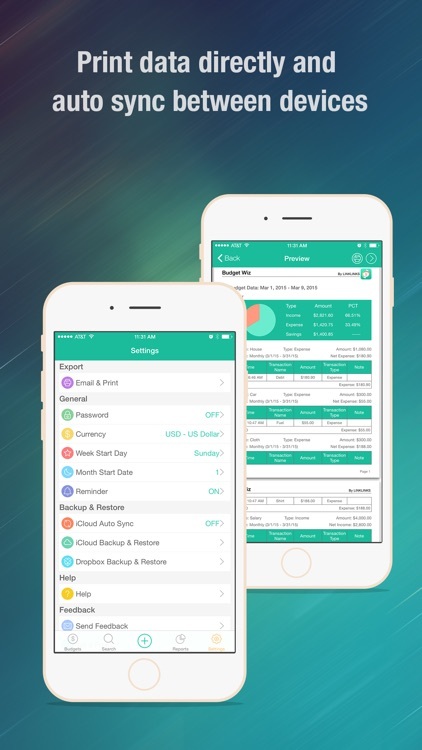 ⁃ Export data in form of CSV, HTML or PDF.